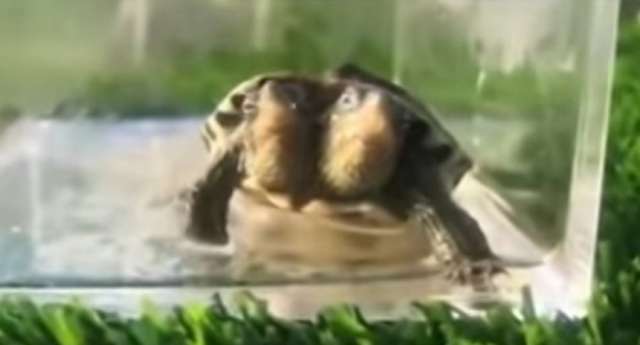 A nature reserve from the city of Shangrao has posted a video with a rare two-headed turtle that was born three months ago. The footage shows that the movement of the creature's feet is not in sync, because each of the heads controls only one side of the body. The reserve's staff has kept the turtle away from its relatives, fearing that the animal may spread a mutated gene that occured as a result of environmental factors.